THERE’S MORE TO A FOREST THAN TREES. We believe that the long-term ability of forests to provide for families and communities depends on harvesting trees in a manner that respects all of the values of the forest. Trout Mountain Forestry provides a full range of planning and land management services for ownerships of 10 to 10,000 acres. 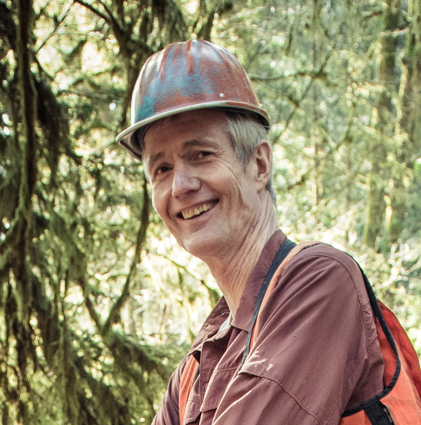 We are able to manage all aspects of the forest management cycle and we work closely with our clients to develop an individually tailored approach to managing their forest throughout Western Oregon and Washington. Our team brings together decades of experience and leadership in sustainable forest management and planning. 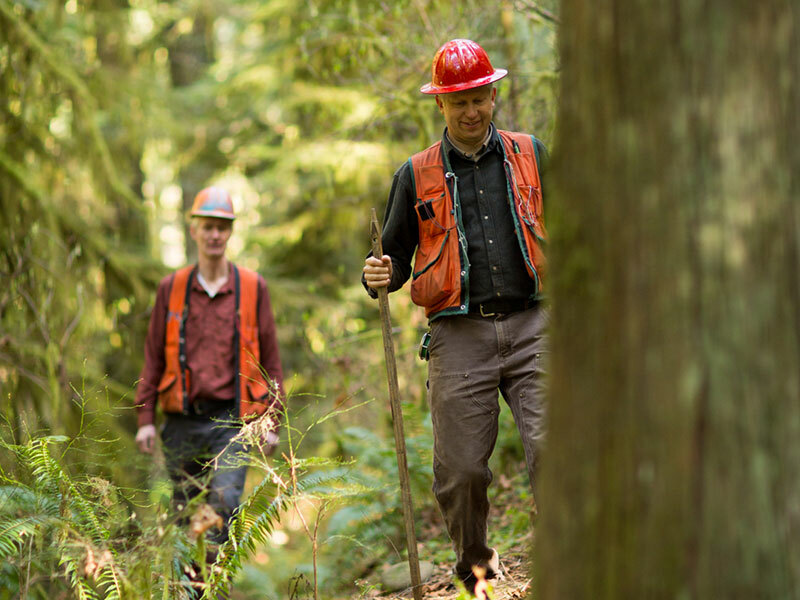 We are hands-on forest managers and take great pride in our solid relationships with and service to our clients. We bring our best creative thinking to every project, large or small, to find lasting solutions to complex resource management problems. We’re proud of the work we do for our clients. With hundreds of successful harvests under our belt, we've learned a thing or two and are happy to share what we know. 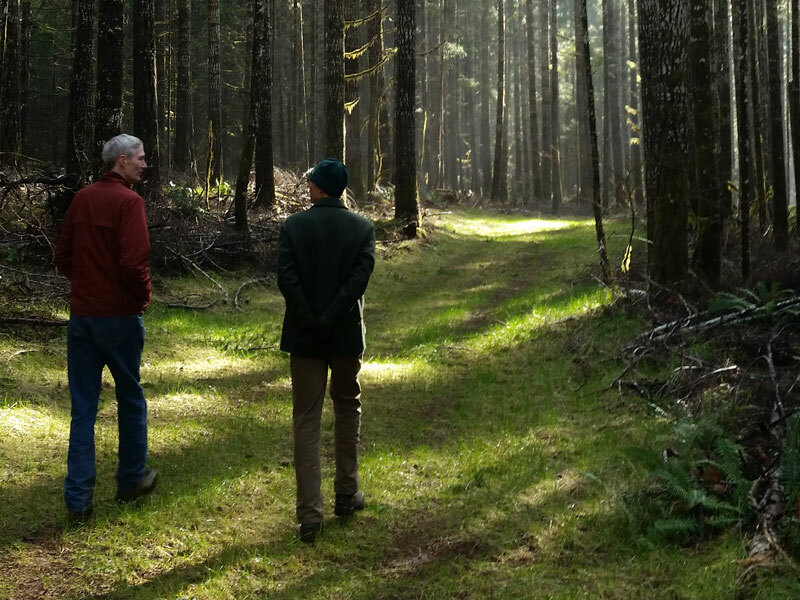 When brothers Allan and Elbert Branscomb acquired their 410-acre property outside the Coast Range community of Elkton their primary objective was providing habitat to support the forest’s elk, spotted owls, and other prolific wildlife. A pioneer in the Forest Certification initiative, the Branscombs had trialed a number of innovative management practices. 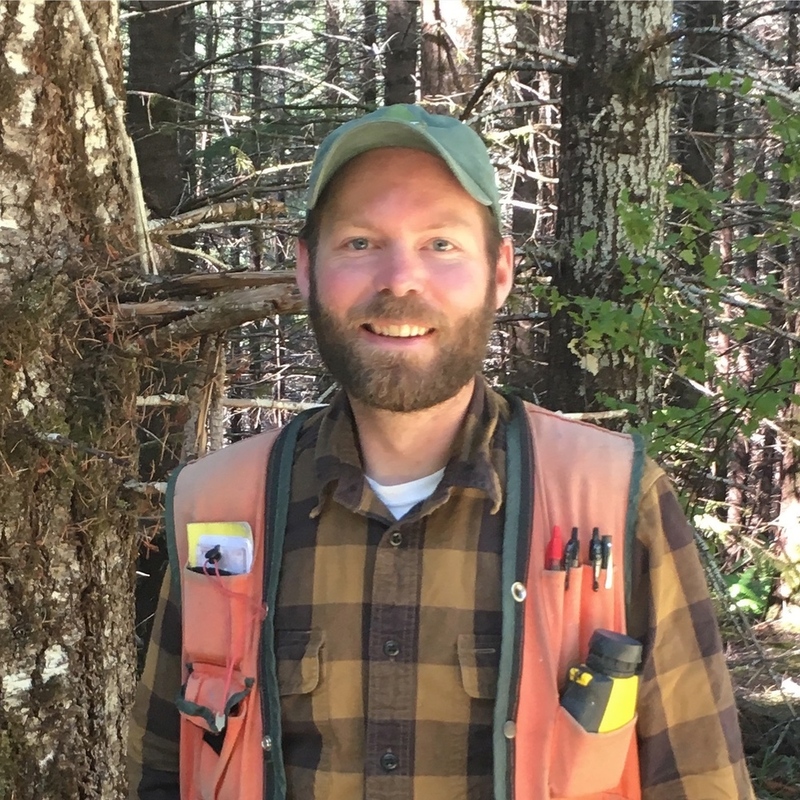 When Allan learned of the US Fish and Wildlife Service’s pilot Healthy Forest Reserve Program he jumped at the opportunity. The program’s conservation easement compensates owners for income foregone in managing for the older, multi-aged forest habitats favored by Northern spotted owls. Its grant funds enable snag and woody debris creation, and other habitat improvements. Trout Mountain Forestry drafted a management supplement that guides the easement, and planned and implemented habitat improvements. With the addition of new partners, the Elkton Reserve moves forward confidently with restoration program planning as well as a mission to include second generation family members. Shiver River is a 172-acre forest and farm property spanning Rock Creek four miles west of Philomath, Oregon. The property has been in the Picht and Brent families since 1920. Trout Mountain Forestry has been assisting the family in managing this special property since 1984, during which time we have overseen 7 individual thinning harvests. Before Trout Mountain managed the property, Scott Ferguson’s forestry mentor conducted harvests there as early as 1965! The forests of Douglas-fir, grand fir, and legacy oak are split by a broad riparian forest of alder and ash. One of the early thinning harvests we managed at Shiver River was in 1998, which was one of the first FSC certified harvests in the Pacific Northwest. We recently came back and thinned the same stand for the second time, at 45 years old. This thinning was done the old fashioned way - light touch, small equipment, with a winch and line that was pulled out to each tree. This approach allows for minimal stand damage and we were very happy with the results. The family members we are currently working with are 3rd generation owners of the property. They recently created an LLC with two sisters and a brother as members. We’re always glad to see families retaining their forests over generations and we hope this family forest is carried on for many more! 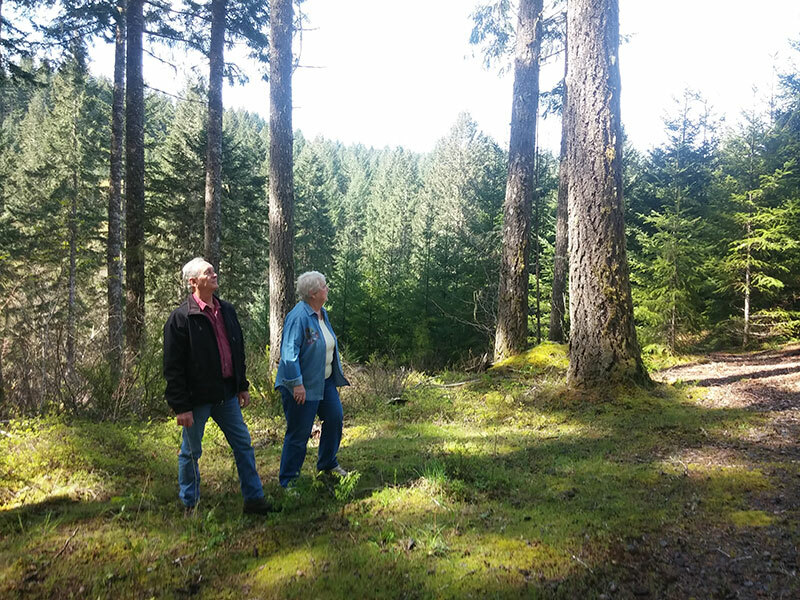 Byron and Marguerite Doneen purchased their first parcel of forest land near Gales Creek, Oregon in 1956, beginning a family enterprise that continues 60 years later. Byron was an active and innovative forest owner. He was an early participant in the Oregon Tree Farm System, with land first certified in 1958. He was also one of the founders of the Oregon Woodland Sales and Management Cooperative in 1980. The Oregon Woodland Cooperative, as it is now known, remains the only forest landowner cooperative in the western United States. The Doneen lands are now managed by Byron and Marguerite's daughter Anne and her husband Richard Hanschu. Today Doneen Inc. is a family corporation comprising nearly 500 acres on three parcels in western Washington County. Richard and Anne's meticulous stewardship of the properties earned them the Oregon State Tree Farmers of the Year award in 1999. The properties contain a mix of age classes and species, and feature beautiful stands of high quality 80 year old Douglas-fir. Each year a combination of thinning and small regeneration harvests are done to maintain forest health, a sustainable age class distribution, and generate income for the family corporation. They have been working with Barry Sims since 2009 to help achieve their goals. This 4,225-acre city-owned property provides most of Forest Grove’s drinking water. Citizen concern over industry-style practices led to a management hiatus that lasted for 14 years. In 2001 Trout Mountain Forestry was hired to lead a year-long planning process to develop a new multi-resource stewardship plan that included reserve-area designation for 1/3 of the ownership to protect drinking-water quality and late-successional forest habitat. Since 2002, we have planned, supervised and administered an annual harvest program that garners public support and supports watershed infrastructure needs. Harvesting techniques have included various kinds of thinning, gap regeneration, and variable retention. 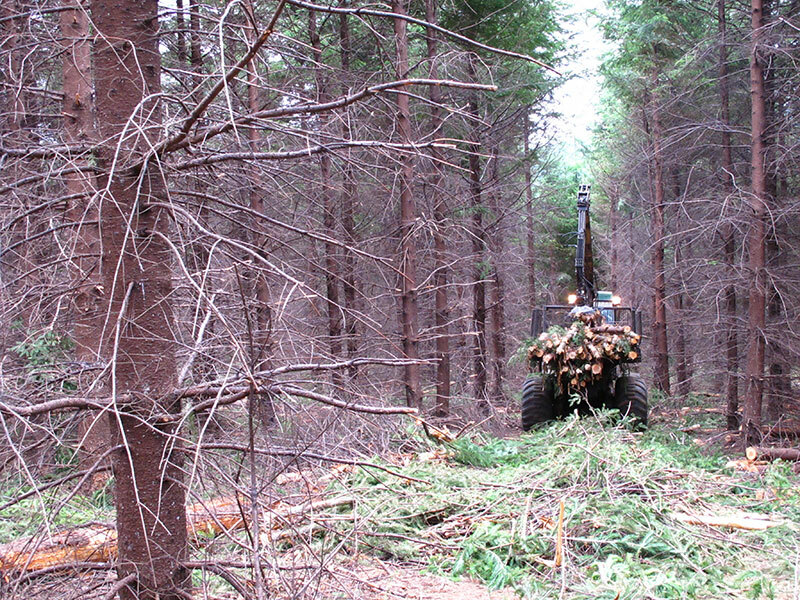 Harvesting in the active management area is designed to thin dense young stands to enhance diameter growth, contribute large woody debris to the forest floor, and create gaps to stimulate the development of multi-story, uneven age stands. Fish habitat enhancement: We helped secure funding for a fish ladder on Clear Creek to enhance Coho salmon, steelhead, and cutthroat trout habitat. In 2012, we coordinated the supply of large Douglas-fir logs from a thinning project on the watershed for delivery to a large woody debris placement project on Clear Creek. Road projects: Trout Mountain Forestry has managed numerous road improvement projects, including routine maintenance, culvert replacement, bridge construction, and slide restoration projects. 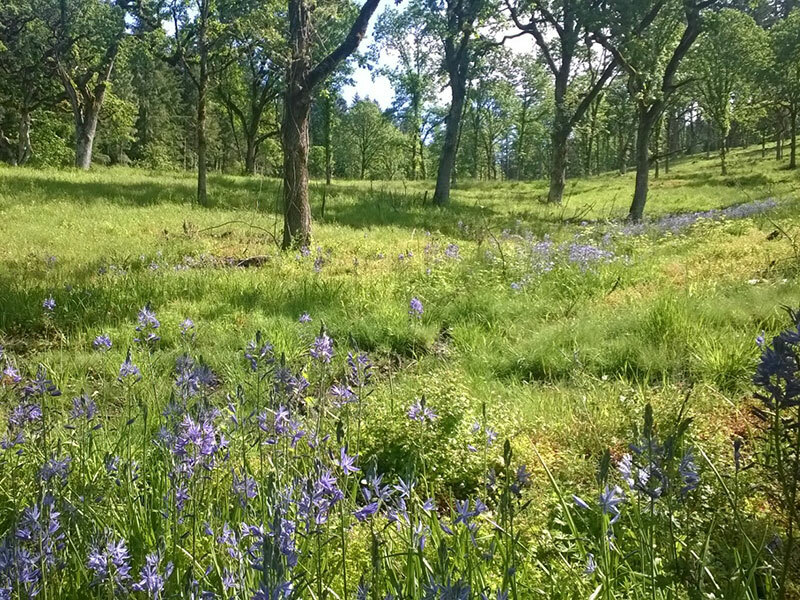 The City of Corvallis owns a 2352 acre portion of the 10,000 acre Rock Creek Watershed. The city’s ownership had been actively managed since the 1950s, until environmental concerns over harvesting of Northern spotted owl habitat halted forest management activities in the mid 1980s. A 20-year harvest moratorium prevailed until the City adopted a restoration-based Stewardship Management Plan in 2006. 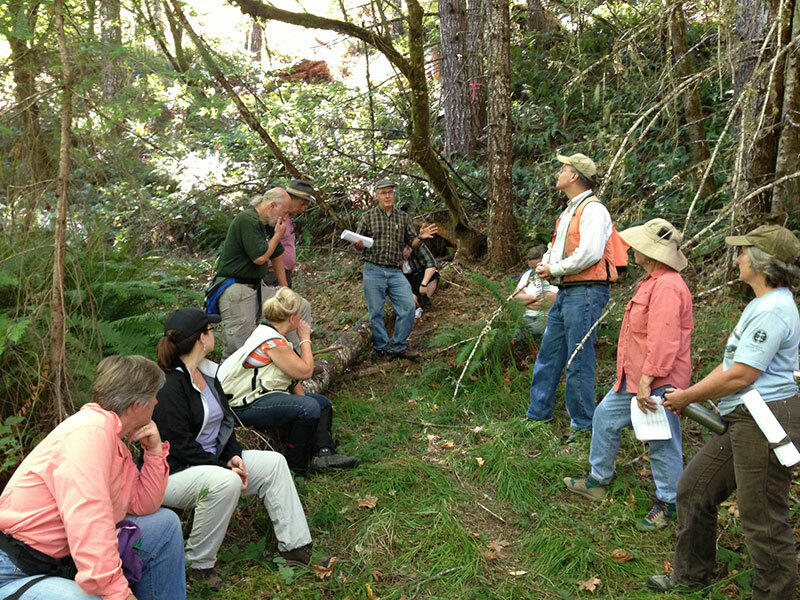 Trout Mountain Forestry led a team of resource professionals in conducting a multi-resource assessment of the watershed, including fish inventory and stream habitat, rare plants and invasive species, wildlife habitat and spotted owl census, forest stand structure, and timber resources. With input from the public and an actively engaged Watershed Management Advisory Board, the City Council adopted a comprehensive stewardship plan to guide management activities for the next decade. 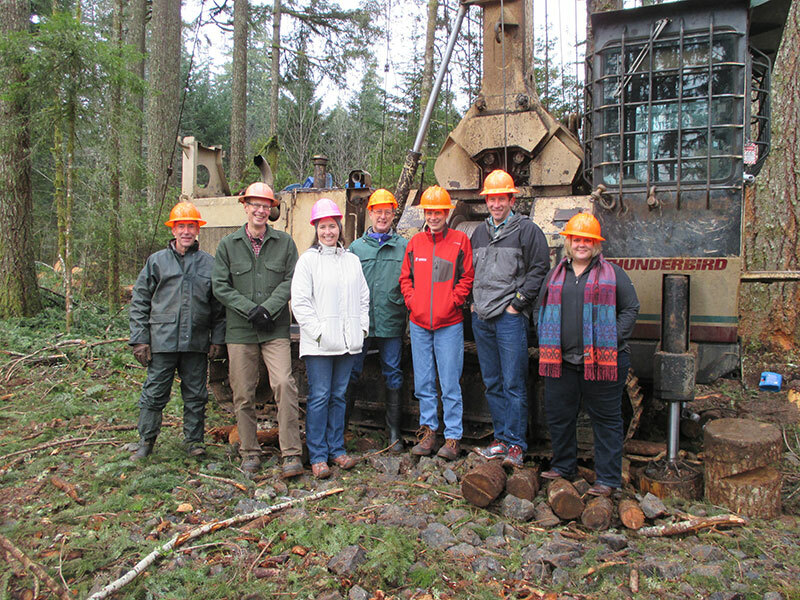 Following adoption of the Stewardship Plan, the City of Corvallis has conducted numerous forest restoration projects and has harvested over 4 million board feet of timber over the past seven years. Trout Mountain Forestry has managed this work in a consulting capacity for the City. 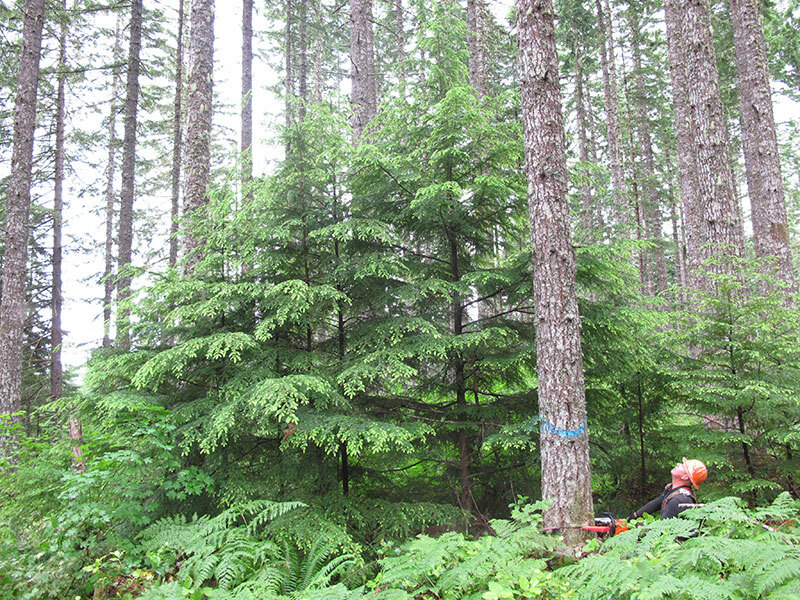 Projects have included thinning young Douglas-fir plantations for wildlife habitat and structure enhancement, invasive species control and road system improvements. 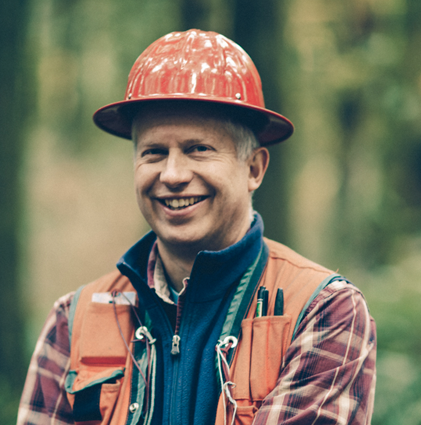 Barry Sims, Scott Ferguson, and Mike Messier have served as forestry consultants at Metro’s Chehalem Ridge Natural Area (CRNA) since 2011. Metro acquired this former industrial forest ownership in 2010, its largest single acquisition to date, with the goal of protecting water quality, and enhancing wildlife habitat, scenic beauty, and recreational opportunities. CRNA contains over 500 acres of 20 year-old Douglas-fir plantations, which Metro plans to transition to complex, older forests. Trout Mountain Forestry has led the prescription development process, which included timber cruising, growth modeling, and forecasting costs/revenue under multiple scenarios. Over the past three years, Trout Mountain has conducted both commercial and pre-commercial thinning operations on 280 acres to create a mosaic of different conditions that will advance the development of complex, late-successional forests with well-developed understory communities. Operations will continue for at least 3 more years to cover the 500 acres of young plantations. Built into harvest prescriptions are elements such as: skips, gaps of various sizes (up to 1 acre), legacy tree creation (recruiting future “wolf trees” via small gaps with 1-3 trees to retain live lower branches), snag and down-wood creation, and hardwood release. Numerous legacy oak trees have been released as part of the thinning operations. Our Lady of Guadalupe Trappist Abbey – Lafayette, OR. The Trappist Abbey is a community of monks that have resided outside Lafayette Oregon since 1955. Managing the 885 acre forest is one of the four industries that support the community. 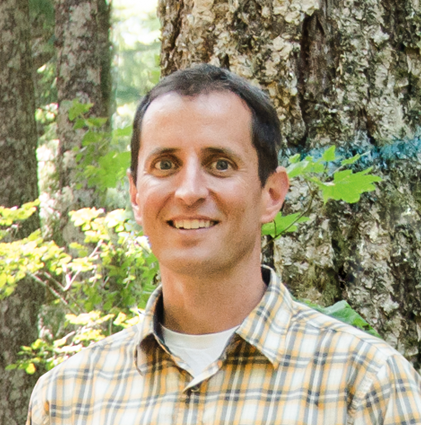 Scott Ferguson has worked with the monks since 1997, developing a sustainable forest management program and conducting regular thinning-based harvests. Every year, we manage numerous timber harvests for families and individual owners, projects ranging from 5 acres to more than 1,000 acres. These are the bread and butter of our business. We greatly value our ongoing working relationships with this diverse group of landowners, all of whom share a common stewardship vision. We work with city, county, and regional governments throughout western Oregon to manage their highly visible and publicly valued watersheds, parks, and natural areas. Whether developing a stewardship plan, managing a timber harvest, or conducting a habitat restoration project, we work with the local community and its leadership to maintain public trust and achieve their objectives in managing these special resources. 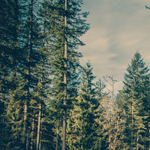 We assist numerous communities and organizations throughout western Oregon – including religious groups, youth camps, and landowner associations – with a wide variety of projects to establish, restore, and manage their special forest resources. We frequently operate in visually sensitive environments, balancing community financial goals with the desire to maintain safe, welcoming, and scenic forest settings. Please email questions for either office to info@troutmountain.com.